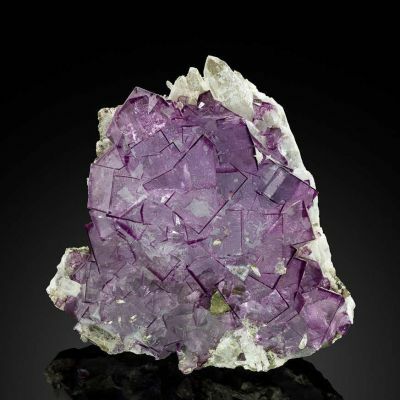 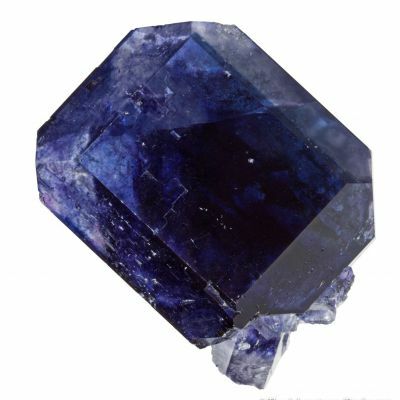 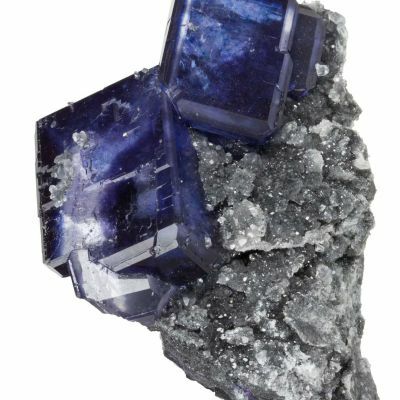 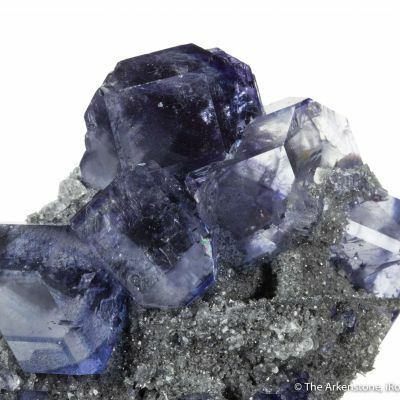 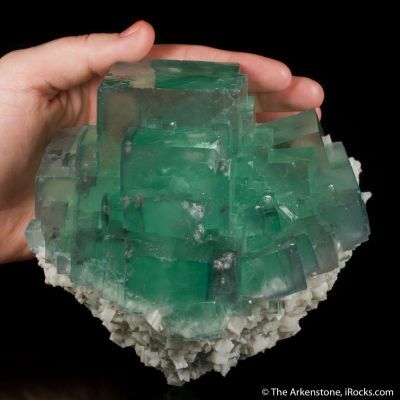 This specimen is distinguished for TWO reasons: one, the quality of the gemmy, large fluorite that caps it; and two, the wonderful pseudomorph crystal opposite it atop the specimen. 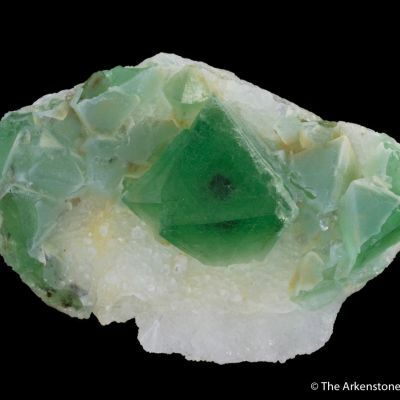 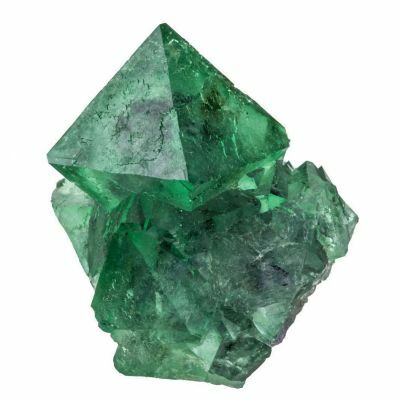 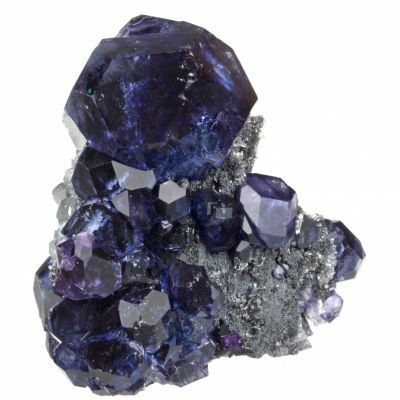 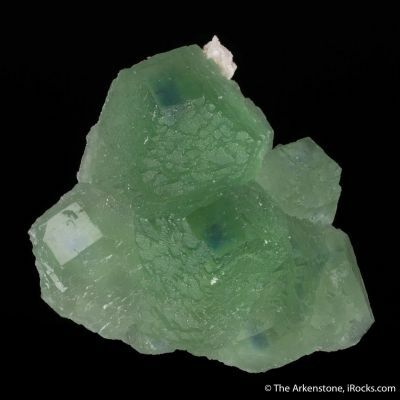 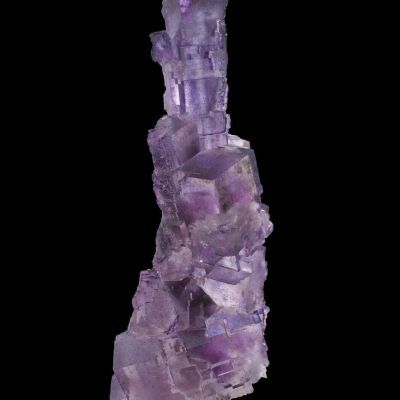 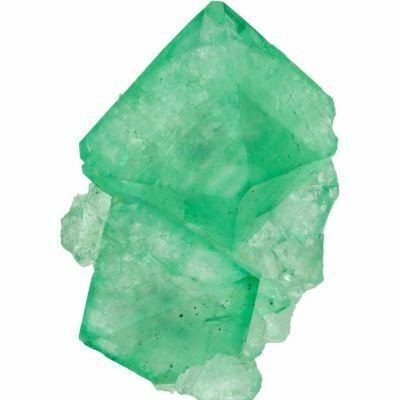 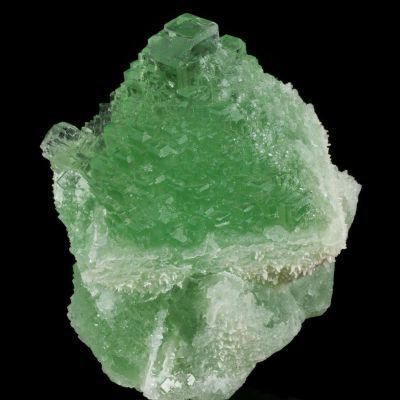 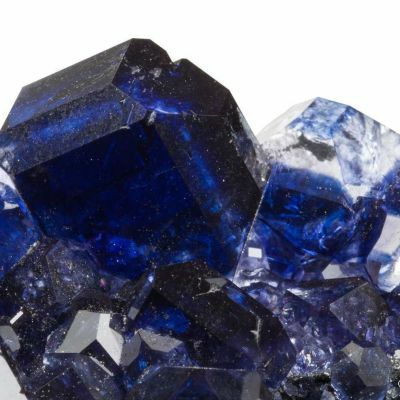 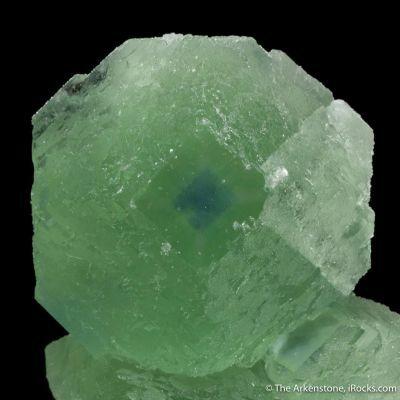 The fluorite (a compound crystal) is over 3 cm on edge, very gemmy, with wonderful bright green color. 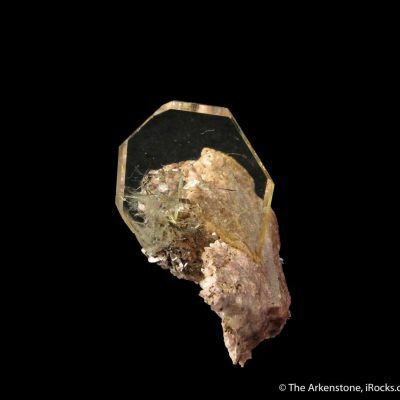 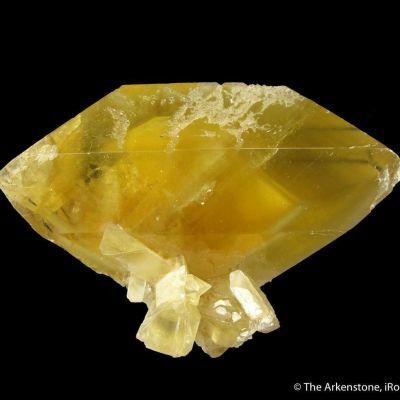 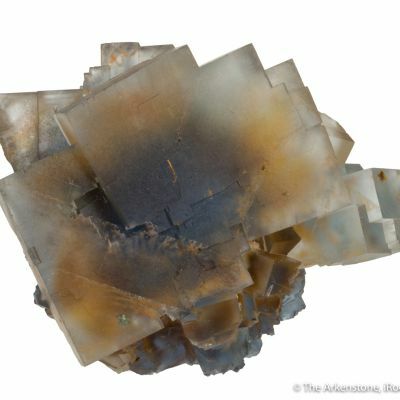 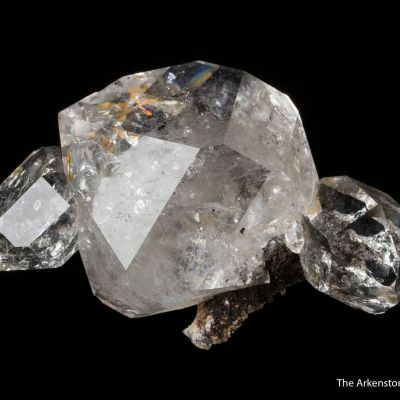 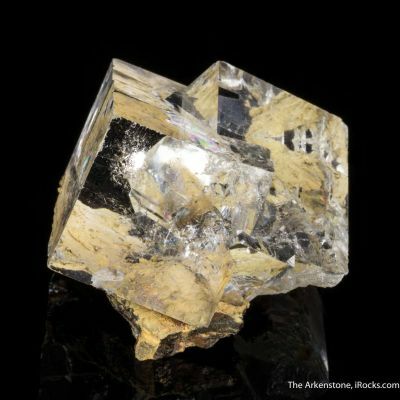 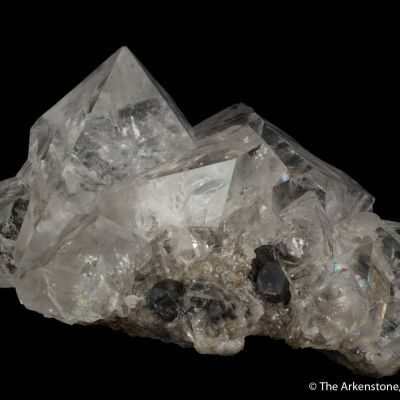 The pseudomorph features small white quartz crystals which have retained the sharp form of the large Baryte crystal.